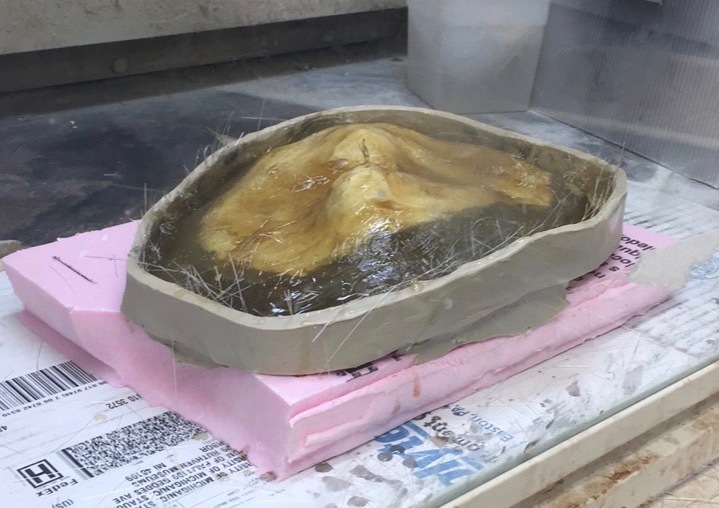 I recently spend a year casting and painting Lucy (Australopithecus) dated to about 3.0 - 3.2 million years old for the new UMMNH. Lucy died when she was a young adult weighting 64lb at 3 ft 7 in tall. Only several hundred pieces of bone fossils representing 40 percent of the skeleton remain of her body when it was discovered. I am working under Dr. Bill Sanders, the Chief Vertebrate Fossil Preparator at the University of Michigan Museum of Paleontology. Beginning fall 2017, I began volunteering with the University of Michigan Museum of Paleontology laboratory. Before working in the vertebrate fossil preparation lab, I was a docent for the UMMNH giving tours to students about dinosaurs and evolution. I completed the skeleton in May 2018 and it will be displayed in the new UMMNH this coming year. 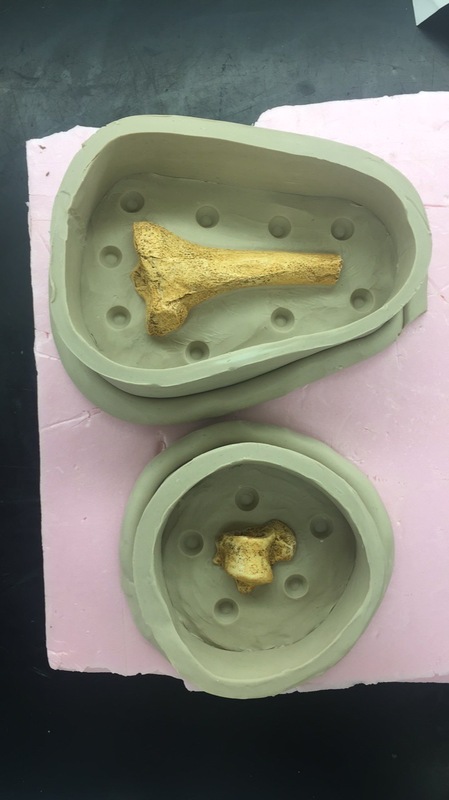 I spend a year casting and painting Lucy (Australopithecus) dated to about 3.0 - 3.2 million years old for the new UMMNH. Lucy died when she was a young adult weighting 64lb at 3 ft 7 in tall. 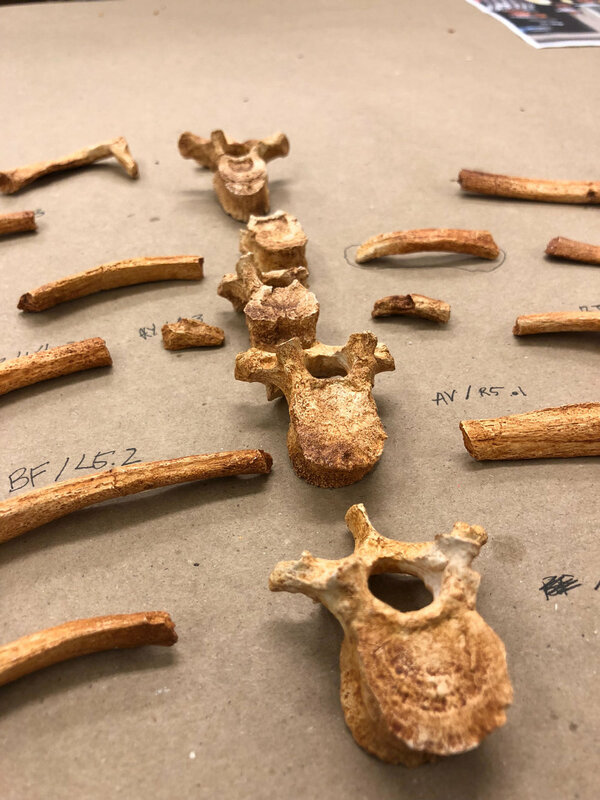 Only several hundred pieces of bone fossils representing 40 percent of the skeleton remain of her body when it was discovered. I am working under Dr. Bill Sanders, the Chief Vertebrate Fossil Preparator at the University of Michigan Museum of Paleontology. In addition, I worked on several hominid skulls for display like Paranthropus boisei and Paranthropus robustus. Both are males and reached adulthood, as demonstrated by the presence of their M3 teeth without much wear. These hominid skulls are over a million years old and lived during the time of the homosapiens.